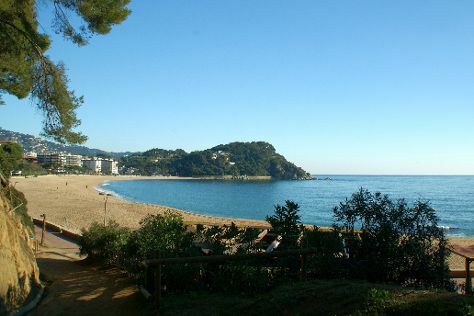 Here are some ideas for day two: browse the eclectic array of goods at La Boqueria, look for gifts at Mercat Del Peix, and then stroll through Fenals Beach. To see reviews, traveler tips, ratings, and tourist information, use the Barcelona trip itinerary builder. Buenos Aires, Argentina to Barcelona is an approximately 22.5-hour flight. Due to the time zone difference, you'll lose 4 hours traveling from Buenos Aires to Barcelona. Traveling from Buenos Aires in March, expect Barcelona to be a bit cooler, temps between 19°C and 9°C. Cap off your sightseeing on the 28th (Tue) early enough to travel to Munich. On the 28th (Tue), contemplate the waterfront views at Starnberger See and then step into the grandiose world of Nymphenburg Palace (Schloss Nymphenburg). Keep things going the next day: get curious at Deutsches Museum, stop by Ingo Maurer Showroom, and then hunt for treasures at Biergarten Viktualienmarkt. For more things to do, ratings, other places to visit, and more tourist information, you can read our Munich travel itinerary creator. You can fly from Barcelona to Munich in 5.5 hours. Other options are to drive; or take a train. Traveling from Barcelona in March, expect Munich to be little chillier, temps between 11°C and -1°C. Wrap up your sightseeing on the 30th (Thu) to allow time to travel to Prague. Start off your visit on the 30th (Thu): get engrossed in the history at Jewish Museum in Prague, then don't miss a visit to Old Town Square, and then identify plant and animal life at Devil's Channel. 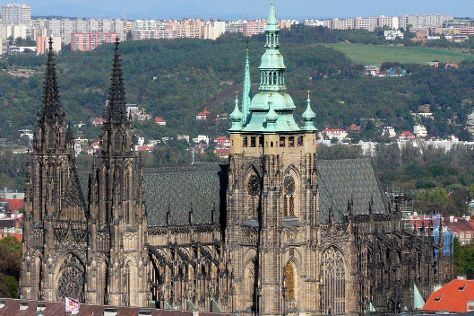 Here are some ideas for day two: browse the exhibits of Lobkowicz Palace, then admire the landmark architecture of St. Vitus Cathedral, and then identify plant and animal life at Kralovska Obora-Stromovka. To see other places to visit, ratings, where to stay, and tourist information, you can read our Prague itinerary builder. Traveling by flight from Munich to Prague takes 3.5 hours. Alternatively, you can drive; or do a combination of train and bus. In March, plan for daily highs up to 13°C, and evening lows to 1°C. Finish your sightseeing early on the 1st (Sat) so you can travel to Amsterdam. Step out of the city life by going to Nationaal Park Weerribben-Wieden and Emperor's Canal (Keizersgracht). Museum-lovers will get to explore Anne Frank House and Van Gogh Museum. The adventure continues: take a stroll through De Negen Straatjes, browse the eclectic array of goods at Flower Market / Bloemenmarkt, and shop like a local with Leidseplein. For ratings, photos, where to stay, and tourist information, read Amsterdam itinerary maker. You can fly from Prague to Amsterdam in 4.5 hours. Other options are to drive; or take a train. April in Amsterdam sees daily highs of 17°C and lows of 6°C at night. Finish up your sightseeing early on the 4th (Tue) so you can travel to Galway. Appreciate the collections at Michael Davitt Museum and Foxford Woollen Mills Visitor Centre. Your cultural itinerary includes sights like Bunratty Castle and Royal Abbey of Cong. When in Galway, make a side trip to see Hazel Mountain Chocolates in Bell Harbour, approximately 46 minutes away. There's more to do: explore the wealth of natural beauty at Connemara National Park. For reviews, maps, traveler tips, and other tourist information, use the Galway travel itinerary creator. Traveling by combination of flight and bus from Amsterdam to Galway takes 7 hours. Alternatively, you can drive; or take a bus. Traveling from Amsterdam to Galway, you'll gain 1 hour due to the time zone difference. In April, daily temperatures in Galway can reach 15°C, while at night they dip to 6°C. Wrap up your sightseeing by early afternoon on the 7th (Fri) to allow time for the car ride to Dublin. For shopping fun, head to Grafton Street or Jerpoint Glass Studio. Eschew the tourist crowds and head to Wicklow Mountains National Park and Powerscourt Gardens and House. Step out of Dublin to go to Trim and see Trim Castle, which is approximately 50 minutes away. Next up on the itinerary: explore the galleries of Kilmainham Gaol, shop like a local with O'Connell Street, examine the collection at Chester Beatty Library, and catch a live event at Croke Park Stadium Tour & GAA Museum. For photos, other places to visit, reviews, and tourist information, go to the Dublin trip itinerary planner. Traveling by car from Galway to Dublin takes 2.5 hours. Alternatively, you can take a train; or take a bus. In April, daytime highs in Dublin are 14°C, while nighttime lows are 4°C. Cap off your sightseeing on the 11th (Tue) early enough to travel to Madrid. Visit Royal Palace of Madrid and Alcazar de Segovia for their historical value. Visiting Ruta los Oficios de la Vida and La Mujer Muerta will get you outdoors. Change things up with a short trip to Catedral de Segovia in Segovia (about 1h 25 min away). The adventure continues: see the interesting displays at Museo Nacional del Prado and hunt for treasures at Mercado San Miguel. To find other places to visit, reviews, and tourist information, read Madrid trip itinerary builder. Fly from Dublin to Madrid in 6 hours. Alternatively, you can do a combination of car and ferry; or do a combination of ferry and train. Traveling from Dublin to Madrid, you'll lose 1 hour due to the time zone difference. Prepare for somewhat warmer weather when traveling from Dublin in April: high temperatures in Madrid hover around 21°C and lows are around 8°C. Finish your sightseeing early on the 13th (Thu) to allow enough time to travel to Buenos Aires. Satisfy your inner culture vulture at Puerto Madero and Museo Nacional de Bellas Artes. Deepen your sense of the past at sights like La Boca and Catedral de la Plata. Change things up with these side-trips from Buenos Aires: San Isidro (Catedral de San Isidro & Villa Ocampo), Tigre (Museo de arte Tigre & Puerto de Frutos) and La Plata (Estadio Ciudad de La Plata, Plaza Islas Malvinas, & more). There's lots more to do: take in nature's colorful creations at Parque 3 de Febrero, look for gifts at Humawaca, browse the eclectic array of goods at Feria de Mataderos, and wander the streets of Palermo. To see photos, maps, ratings, and more tourist information, read our Buenos Aires tour planner. Use the Route module to find suitable travel options from Madrid to Buenos Aires. You'll gain 4 hours traveling from Madrid to Buenos Aires due to the time zone difference. Expect somewhat warmer temperatures when traveling from Madrid in April; daily highs in Buenos Aires reach 25°C and lows reach 18°C. On the 6th (Sat), wrap the sightseeing up by early afternoon so you can travel back home.